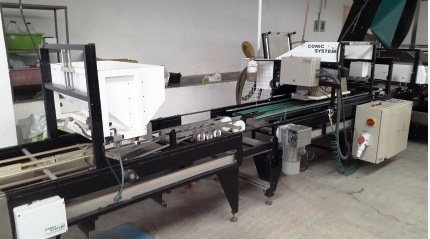 El Oasis, located in Tunas Blancas in the near of Queretaro, has incorporated, in their facilities the new Seeder Line PRO335 full automatic form Conic System. The new PRO335 is added to the actual PRO110 and PRO130 which are still properly working since long time ago. The Ingeniero Ignacio Calderón, CEO of El Oasis, has acquired the new PRO335 due their increase of their production of Sweet Peppers and Tomatoes and his opinion is high positive. “This new Seeder Line Works very well” said the Ingeniero, “and we’re very happy, having it”. 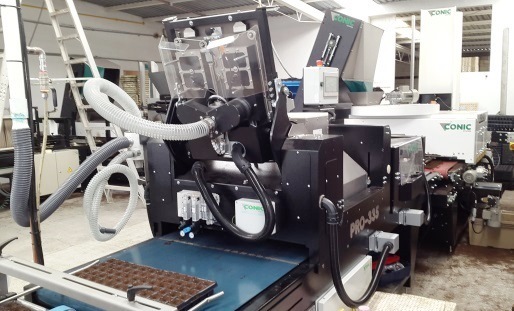 “It is quite quicker that the olds and its speed helps us to increment our production” added, “It was little difficult to get the programming for different trays, seeds and substrates, but finally, we got it, and we like it very much. 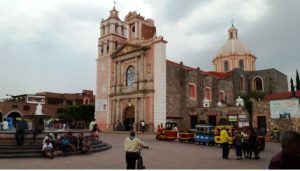 We also chat about the Mexican marked, the new policies coming from the North after the change of the President and his protectionists and immigration policies and the future that we await. He thinks that, after a low begging, the things will come soon to normal situation, and Ignacio add that the country will grow and the Nurseries too become benefited. Next November we will come back to Mexico to the Guanajuato Exhibition and will be in the El Oasis booth.